The Swing drive reducer gearbox rotates the top of the Excavator on the chassis together with the slewing gear bearing. Attributes: Heavy Duty Swing Drives are designed to be rebuilt and reused. The below following gear components are included in swing drive: sun gear, planetary gear, needle bearing, roller bearing, carrier, pinion shaft, pinion gear, oil seal, ring gear, swing housing case. 1. 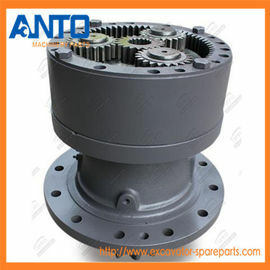 The gear parts are built to fit to the genuine drive gearbox system. 2. The gear parts are supplied strictly according to the genuine parts catalog. 3. All the gear components are manufactured from carefully selected materials with standard quality using standard production process heat treatment processes — including case carburizing, nitriding, and induction hardening. 1. Warranty Period: 3 Months' warranty from the date of arrival. Longer period of 6 months' warranty could be offered with higher price level. 2. Warranty type: replacement of the parts that have quality problem.